Some exciting news! 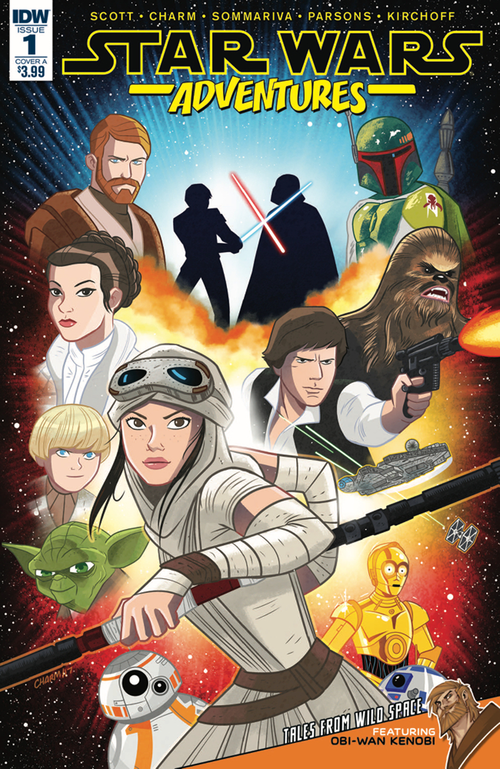 Star Wars Adventures has been nominated for two Diamond Gem Awards, including 2017 Best New Comic Book Series. Issue one of the series, featuring Better the Devil You Know part 1 by me and artists Derek Charm, and Stop, Thief! by me and Jon Sommariva has also been nominated for 2017 Licensed Comic of the Year. Awarded by Diamond Comics Distributors, the Gem Awards are selected by a panel of Diamond product specialists based on sales performance and quality. Congratulations to the entire team, including, of course, our wonderful editors Bobby Curnow and Denton Tipton. Star Wars Adventures‘ publisher, IDW, has been nominated for a total of 17 awards, including 2017 Comic Book Publisher of the Year.